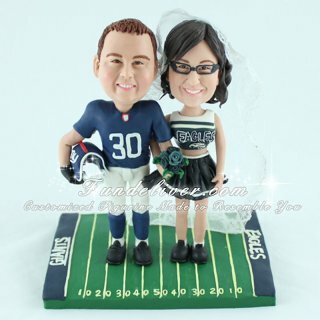 This is a completely customized New York Giants and Philadelphia Eagles football theme wedding cake topper ordered by one of our customers. They are from rival sports teams, the bride Philadelphia Eagles and the groom New York giants. So they would like the bride in Eagles cheerleading outfit with a cathedral veil and holding a bouquet in her hand. The groom is in New York Giants dark blue uniform with the number 30 (for their wedding date), holding the Giants helmet in his right hand, the back of jersey's last name to say Yannuzzi. For the pose, they would like the groom and bride figurine to be standing side by side and interlocking their arms. 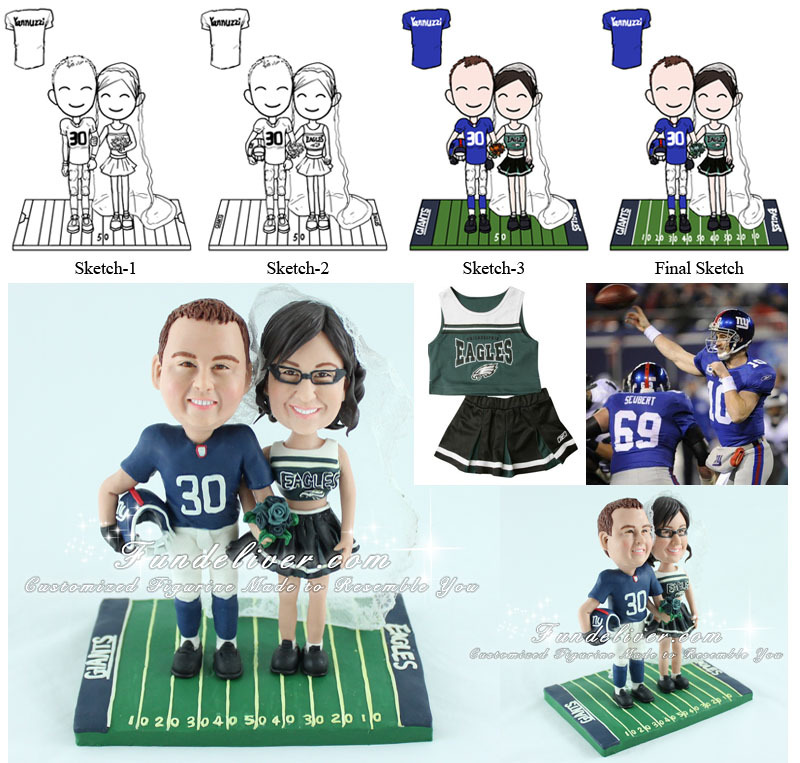 For base, they would like the figurine standing on the 50 yard line with bride on one side with Eagles end zone and groom on the other with Giants end zone.